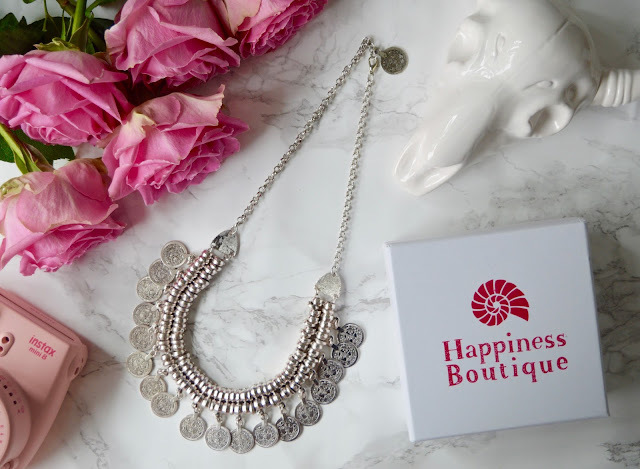 For those of you who have not yet heard of Happiness Boutique, they specialise in vintage inspired fashion jewellery - including an extensive range of necklaces, earrings, rings as well as scarves and clothing items. 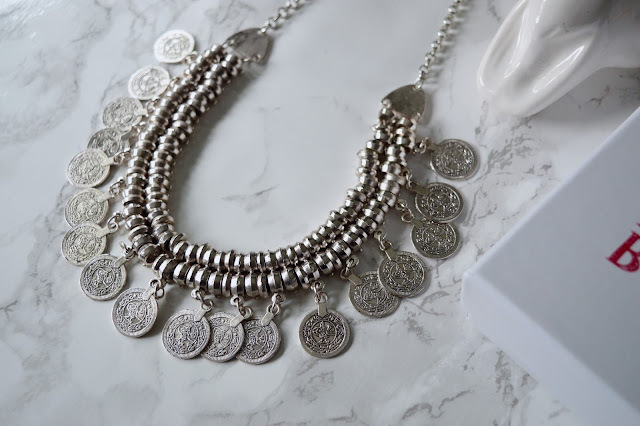 Now I didn't accept their offer solely on the fact that they're based in Germany but also because with my (late) beach holiday coming up in November, I was in the market for some statement silver necklaces. 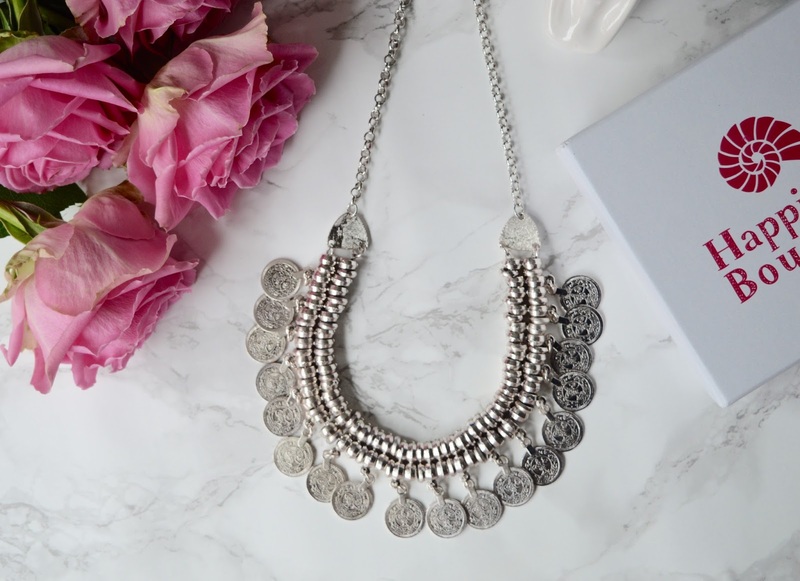 The Silver Toned Ancient Coins Statement Necklace* was one piece that caught my eye in particular. 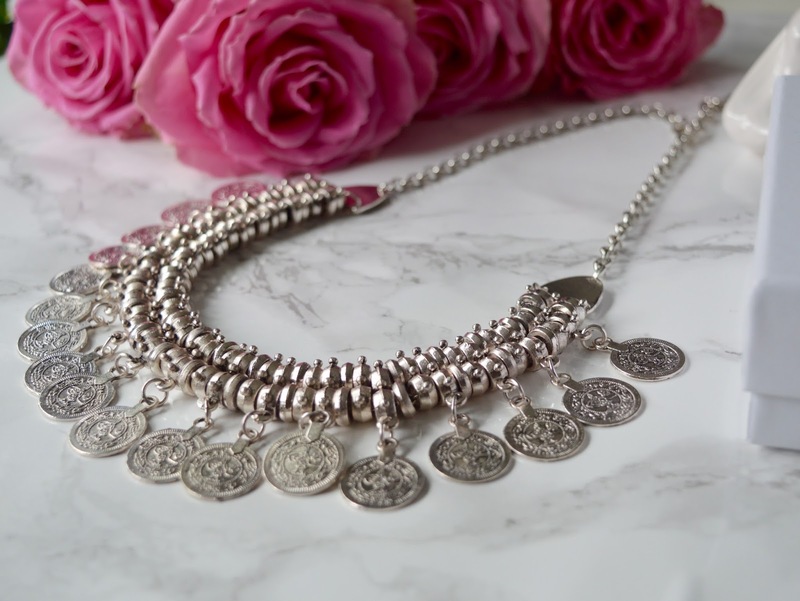 I really loved the coin detailing and I think this will look really pretty with an embroidered floral bardot dress on holiday. Besides being easily dressed up or down, one of the best features is, the chain is adjustable so if you want to extend it (like I have, above), or if you want to shorten it to wear with a collared shirt - you can do just that. In terms of sturdiness, it definitely seems to be a quality necklace although I can't help but feel that I could have purchased something of the same standard in say, H&M or ASOS - although perhaps only for the same price. I did, however, recently purchase a similar statement necklace in Primark for around £8 and so I'm not sure whether I would have paid a full £16 for this. However, the shipping was super efficient and I'm really pleased with the product overall. 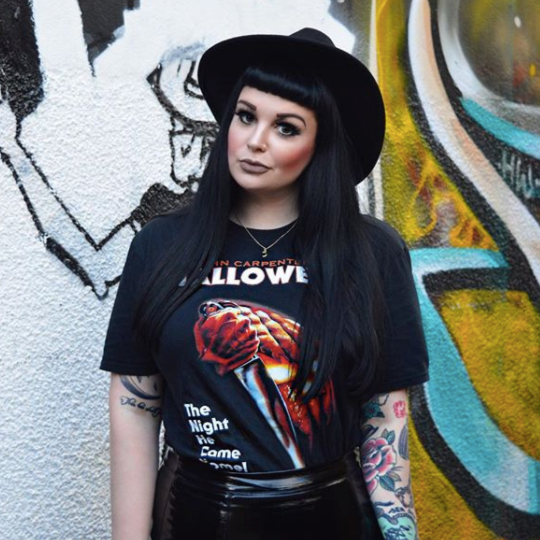 You can check out more of Happiness Boutique and their exclusive range over at their website. For 10% orders over 19euro, use discount code popcornandglitter at the checkout. Thanks so much to the brand for sending over this piece - I'm looking forward to it being my key piece on holiday. 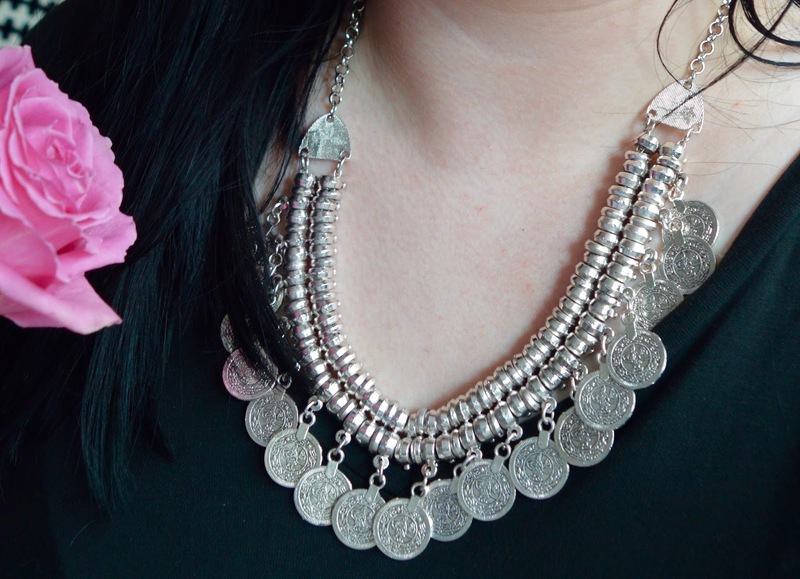 So tell me, how do you like to style statement necklaces? What are your favourite jewellery brands? As always, I love reading your thoughts so please do leave me lots of lovely comments below. *Disclaimer: This product was provided to me by the brand for the purposes of review. All words and opinions are my own and do not reflect that of Happiness Boutique. Discount code valid until 1st October 2016. This is stunning! I really love this! I'm really into big statement pieces like this!